Online and on-the-go learning from anywhere at anytime. 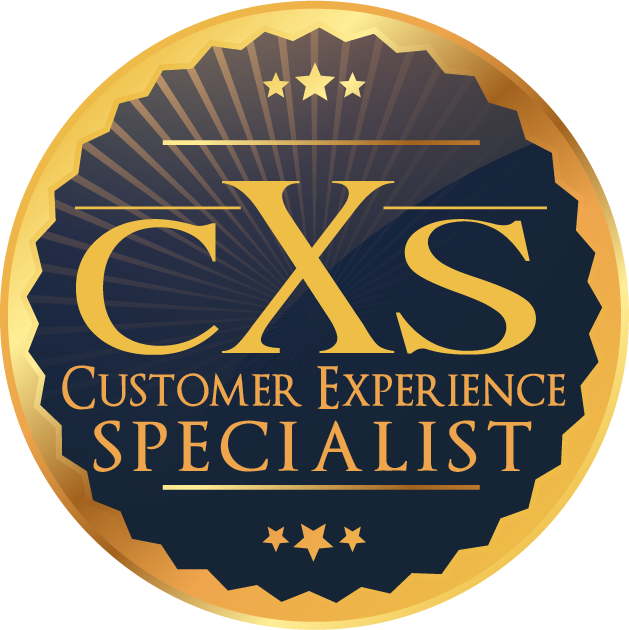 Customer Experience Specialist Certification (CXS)™ now available! It’s comprehensive, yet easy to read covering best practices, fundamentals, and mastery of Customer Experience. Apply what you know with lesson activities and playbooks. Learning with CX University pays off! Our Online Course students PASS the CX Practice Tests! 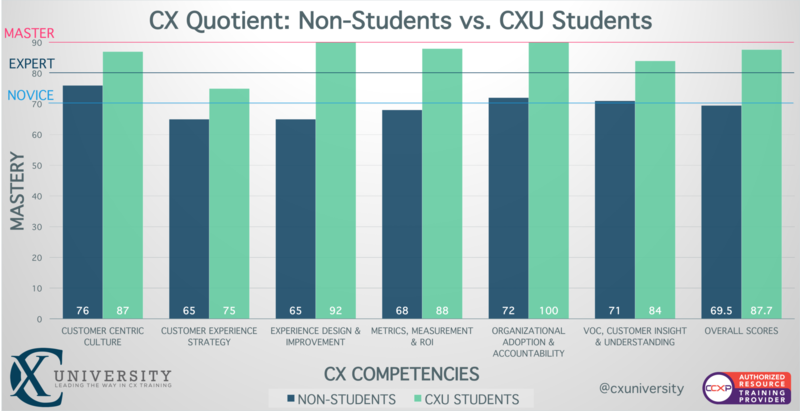 And when comparing our Online Course students to those who did not take Online Courses with CXU, you can easily see that our students consistently scored higher on the CX Practice Tests. Learn more about this. Take a sample CX Test to see how you score!